Click on the photos below to see more photos of any of these projects. 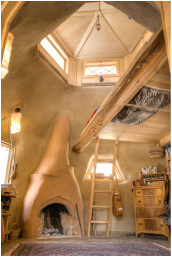 This cob cabin was built in a suburban lot in the East Bay, CA. Click here for more information and to see more photos. 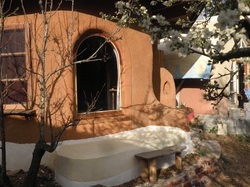 This cottage was built in 2012 with a 6 week Natural Building workshop. Click here to see more photos. This dome was built with many hands in the high desert of southern CA. Click here for more photos. 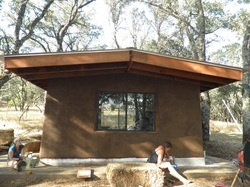 We built this cob cabin in 2012 in Middletown, CA. Click here for more information and to see more photos. 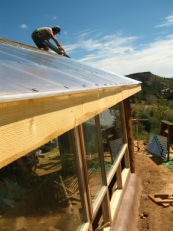 This hybrid cob and strawbale greenhouse was built in the summer of 2006, in Prescott AZ. Click here to see more photos. 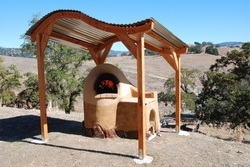 Click here to see photos of several ovens. 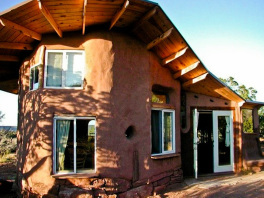 This was the first cabin I built, in AZ in 2004. Click here to see more photos.